Lovely apples for a very good price - usually about £2 for 4. Should have mentioned its a bag of 6 apples! These are usually £1.89 or less for 6 at Aldi. As above, I always get these from Aldi for around 1.89 for 6 large Pink Ladies, lovely apples! what are 'lady apples' ? £1 for 4 isn't cheap. If you don't have a Morrison's near you they had these in Asda today at the same price for a bag of 5 or 6 apples. Its a bag of 6 apples, sorry - should have included number of apples! Think I got 6 for about £1.50 on sale at Sainsburys? More expensive but might be good if there's no Morrisons nearby. Thanks - these are great. There is next weeks work allocation sorted. If you see them advertised as Cripps pink they are the same variety its a case of the cripps pink growers have not paid the royalty to use the brand name 'Pink Lady'. ianstanley - Jul 15, 2011 15:28what are 'lady apples' ? lovely apples but they bruise very easy!! As a pink lady would i suppose. Oh yes it is,these are quite expensive per kg,myself I prefer Jazz,now they are lovely apples. They have a hole where the stork should be. Same Deal at asda I got these for a pound. The bags are 6 small fruits rather than a stated weight but from expeience they all weight about 800g. Morrisons have been doing at least 1 variety in these £1 bags (often 2) every week since the start of summer. They usually rotate between Royal Gala, Granny Smiths, Pink Lady, Sundowner and Braeburn (the latter is not on offer as frequently - must have a hight wholesale price). Mostly NZ as it is their glut seasonl, hopefully we will see some Cox etc latter in the summer. pink lady's really are the dogs. Makes a change from the dire Royal Gala apples that always seem to be on promotion. These apples are the best tasting... never sour. Onto the hottest deals of the day list.... and a great deal as these are lovely apples. They do bruise easily though! I love these apples, never really bothered with apples till I had one of these and now have at least 1 a day. I'm happy paying 50p for big ones, I find pre-packed are smaller and not quite as nice to bite a huge chunk off. I do enjoy a nice pink lady ! I'm sorry but apples these days are tasteless in comparison to what I was given as a child. I tried these 'pink ladies' in the hope of getting something similar to what I used to get, but I was disappointed. In times past we had dozens of different types of apples grown in Britain - and almost all of them tasted brilliant. We just don't see all these brilliant apples these days, and what we are offered - and younger people think are tasty - would never have made it to market. Not voting either way, just sorry to see people happy to accept plain fayre when we used to get the absolute best of the best. I'm sorry but apples these days are tasteless in comparison to what I was … I'm sorry but apples these days are tasteless in comparison to what I was given as a child. I tried these 'pink ladies' in the hope of getting something similar to what I used to get, but I was disappointed. In times past we had dozens of different types of apples grown in Britain - and almost all of them tasted brilliant. We just don't see all these brilliant apples these days, and what we are offered - and younger people think are tasty - would never have made it to market. Not voting either way, just sorry to see people happy to accept plain fayre when we used to get the absolute best of the best. I totally agree but it's the same with everything. Milk isn't as milky, crisps aren't as crispy, the list is endless. Voted hot..these are very nice apples and a bargain at £1 a bag,I had 5 very big apples in my bag. I totally agree but it's the same with everything. Milk isn't as milky, … I totally agree but it's the same with everything. Milk isn't as milky, crisps aren't as crispy, the list is endless. Back in my day, wah wah wah. I bet you even get nostalgic for those powdered eggs you had rationed during the war don't ya gramps. Back in my day, wah wah wah. I bet you even get nostalgic for those … Back in my day, wah wah wah. I bet you even get nostalgic for those powdered eggs you had rationed during the war don't ya gramps. We even had real nappies. Has your mum changed your disposables yet today? The air doesn't taste as sweet these days. Yeah true. 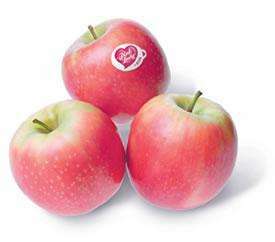 They can be labelled as Cripps Pink Apples which are exactly the same variety technically. Pink Lady is just the brand name. In response to the taste issue, in my experience avoid the ones labelled french country of origin, aim for south africa or new zealand. Chile are ok too. Also with this variet try for a bigger apple. Just my opinion and experience. Someone may have something opposite to say but with mass agriculture over the past 20 years...apples and thier quality vary so much its hard to get right.